If your Admin Dashboard has 4 columns of buttons on it, you should be viewing this help article. The menu has been optimized for mobile devices. 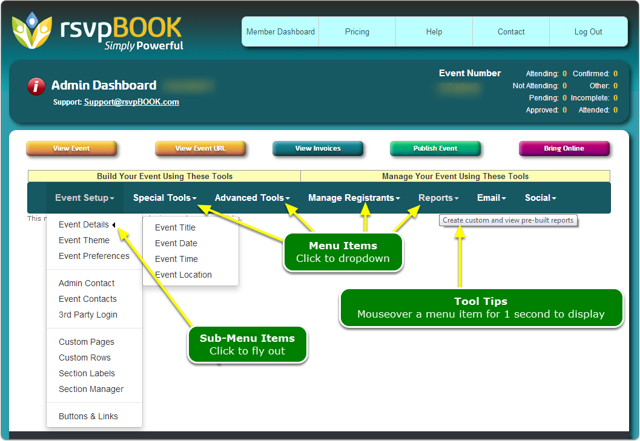 Therefore, you must click the menu items to display the options. Hover your mouse over the menu item to view a tool tip. Next: Where do I find the URL (event link) for my event website?